The best dental implants are just a phone call away to your Oklahoma City dentist office. Our trained staff has the experience and skill to properly place your implant and restore your smile. Still, it is common to feel unsure about the procedure until you feel educated enough on the subject to make a decision. So, let’s take a look at some common questions regarding dental implants. Starting with the basics, an implant is a dental device that takes the place of the tooth’s root. The root of your tooth holds your tooth in place to your bone. When your tooth is compromised or missing, the root may no longer be strong enough to do its job. The implant is placed surgically into the bone and will be the base for your new tooth. The implant looks a bit like a screw and a crown is then made to look like your natural tooth. The crown fits to the implant via an abutment that helps hold the unit together. Can Any Dentist Place a Dental Implant? Not every dentist has the skills and education to place an implant. Our Oklahoma City dentist has placed thousands of implants and crowns as well as completed the necessary education requirements in order to offer these services. Not all implants are the same, nor does every patient have the same need. Our years of experience offer our patients the expertise needed to restore your smile. Implants are a solution at any age. You may have a missing tooth from an illness and its complications, or from an accident. A number of situations may have caused the tooth to die. 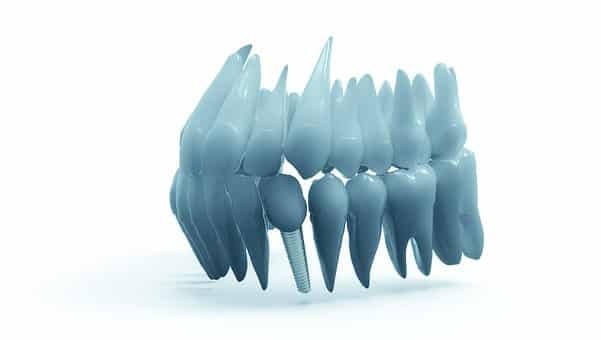 The implant is built to look just like your real tooth so that your smile can return to the way it was, if not better. Cosmetically, if you are unhappy with your smile, talk with our Oklahoma City dentist about your options with dental implants. Caring for your dental implants is no different than caring for your teeth. Brush your teeth after every meal or twice a day at the very least. Floss daily and rinse with mouthwash, and finally, keep your regularly scheduled appointments with our Oklahoma City dentist. Proper oral hygiene keeps your smile in the best condition and prevents further need of dental implants. Our goal is patient comfort and care while ensuring you have the best smile. Visit our Facebook page for more information or give our office a call to schedule a quick consultation.